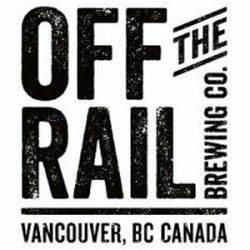 Off The Rail Brewing Co. is from East Vancouver (a stone’s throw from Bomber), producing absolutely fantastic beers. Off The Rail was founded in Feb. 2015 from the former owner of The Railway Club in Vancouver, which they sold in 2008. Conditioning Tanks to ensure no beer would be released until absolutely ready. This little brewery is new to the island, but is gaining momentum quickly as accounts and customers taste the beers and subsequently want more. The core lineup are 6packs which are their traditional approach beers, plus 650ml’s that are seasonal, more experimental, perhaps even more fun.